Added on June 21, 2014 by Yusuke Nakajima. 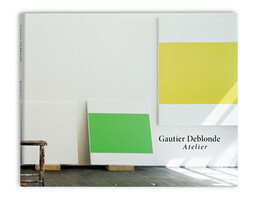 Gautier Deblonde has photographed artists’ studios in America, Europe, and Asia for the past eight years. He is particularly drawn to the studio as a subject, capturing the work in progress with all the traces of creation, but without the artists themselves. As documentary photographs, the images are rich in detail—full of sculptures half finished, brushes scattered on the floor, and shelves of inspirational material. Though the artists are conspicuously absent, there’s a lingering sense of their presence, as if magic lies in every tool, waiting to be brought to life. Left alone in the space, it feels as if time stops. Atelier provides a privileged glimpse behind the scenes to the source of artistic creation. Seventy studios have been captured in panorama, including the private spaces of Georg Baselitz, Wim Delvoye, and Ai Weiwei among others. Photographed methodically, the compositions appear together as a meditative study on the studio, leaving the viewer to interpret the artist’s intention and imagine the space come to life.